I am a passionate person, often to a fault. I throw myself into many a things with all I have, which confuses many people and at times leads to a misunderstanding of the motive. Working with students with learning disabilities has been a passion for a long time and now combined with my love of technology, the path of ahead is so exciting. The road to building students’ skills and incorporating technology to support them is one that occupies my mind more than it should, hence many 2 am Tweets. I am passionate about connectivity with other educators. Finding many fabulous people to engage with since beginning my connected path has truly paved my road. I do not take steps forward on my own, but with the collaboration of others. Most of my colleagues don’t understand my passion for connectivity and at times think I am a bit nutty, but I am okay with that. For on Saturday November 23, 2013, I engaged with those amazing people who ignite my passion. Yes, I traveled two hours to North Brunswick, New Jersey on a Saturday for an amazing day of connecting and learning at #EdCampNJ 2013. I wasn’t alone, there were about 300 educators who did the same, some for distances much further than myself. There I was able to meet in person many of the awesome people I have met in the connected educator world. Although the first time seeing the educators in person, we greeted with hugs and joy as we are old friends. 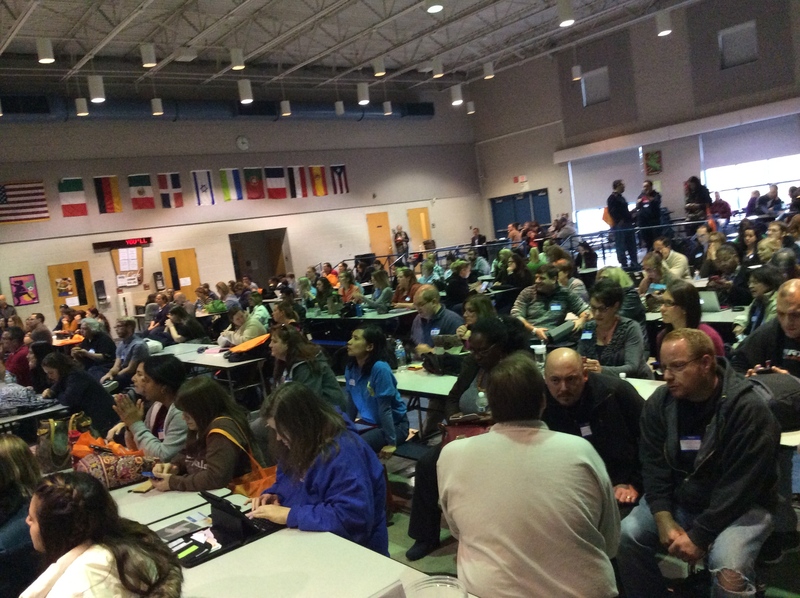 Throughout the day in sessions and other moments, conversations flowed freely among all the #edcamp participants. 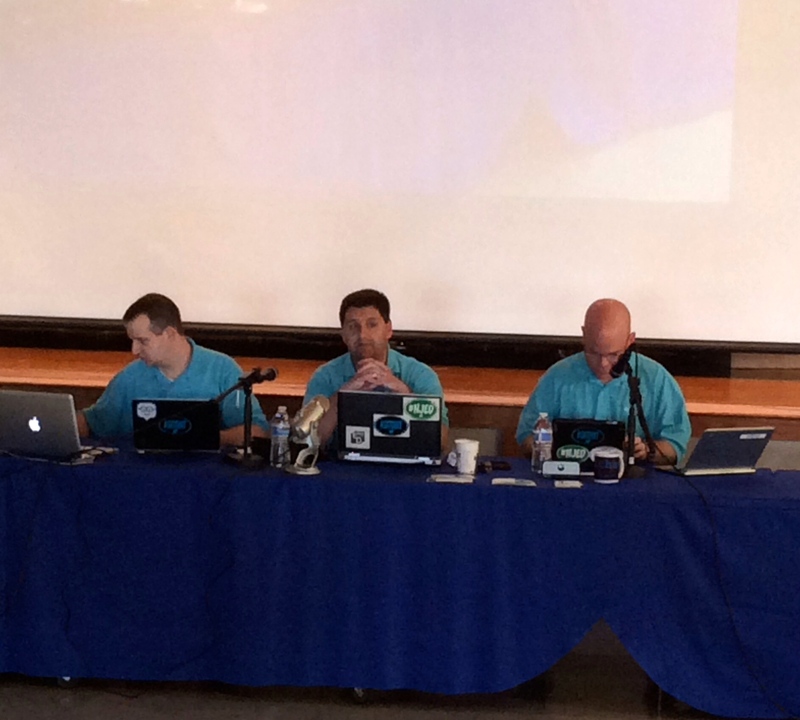 I raced down with @atragg (a new local and Twitter connection) to witness my first live #satchat and finally meet @bcurrie5, @ScottRRocco and @wkrakower. These gentlemen are the reason I love Twitter chats and get engaged in learning every Saturday morning. They are amazing educators who I value as connections and bring passion to all that they do. They inspire educators every Saturday morning at 7:30 to connect, contemplate, and collaborate. The level of excitement and engagement that could be felt from the 7:30 am live #SatChat to the rousing clapping exodus at 3:30 in the afternoon was infectious. Only @Joesanfelippofc could get everyone ramped up for #gocrickets as a lesson in branding, while @TonySinanis helped us consider how kids are the sharers of our messages, and the ever entertaining @rkiker continued to spread the wonders of Google. Of course the highlight of my day, was connecting live for the first time with part of my #edtechchat team. Seeing @ajpodchaski and @thomascmurray in person made the drive worth it the most. Having only connected through Twitter, my team is made up of amazing resources for educational technology that I constantly refer to. Our passions brought us together. 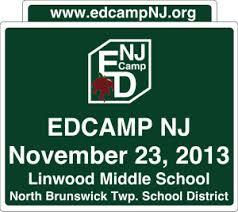 Thank you to all who attended #edcampnj 2013 whether in physical or virtual presence. It is because of each and every one of you the my passion continues to thrive to do what is right for all learners. I would go to the ends of the earth to continue to be part of the energies these educators ignite; they are the giants that help me see the great road ahead.